God of War has been one of those series that I just could not get into. With previous games, despite offering fast-paced action akin to what makes PlatinumGames titles so special, I couldn’t relate to the narratives whatsoever. Kratos was painted as a tough, merciless character, but the fact that he blamed every single one of his problems on outside sources made him nothing more than a crying child in my eyes. The new God of War title is a huge step in the right direction. The old games had followed a tired old formula, and the first original God of War title for the PlayStation 4 was an opportunity to shake things up and make the series relevant again. I came into this with low expectations, thinking that the game would only look at its new Norse mythology setting in a shallow, tokenistic way, as it had with Greek mythology. I worried that the game would only give Kratos a son in order to give him another tool in battle. 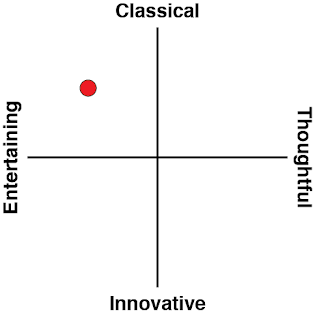 But I was pleasantly surprised by how everything was handled. After the events of the first six God of War games, Kratos leaves Greece to find solace away from the world of gods he had been heavily involved with, hoping to start afresh. The game begins with the funeral for Kratos’ wife, and mother to his son, Atreus. Her last dying wish was to have her ashes spread on the highest peak in all of the realms. This is much easier said than done, as it takes Kratos and Atreus on a path through various realms in order to attain this seemingly simple task. The game is an incredible leap forward for the series, it borrows some elements from the older games, such as the over the top violence. The opening boss-fight against a “stranger” is particularly brutal, but seeing as many fights are between near invincible characters, the brutality of it all also felt necessary. Kratos isn’t constantly ripping everything limb from limb like in the old games, instead choosing to pick those moments carefully when there is an opening to do so in battle. The game is also set in a much larger world than previous games. Rather than constantly moving upon a linear path with no way to turn back, Kratos is free to explore much of Midgard and the other realms as they open up to him. It’s not quite open world, but it’s set out more like one of the modern Tomb Raider games, where the paths are linear, but you can move back and forth between the paths to reach already-visited areas. I can’t spoil the narrative itself as surprises and twists are frequent, but the direction that they took with the narrative is much more refreshing than what made the old God of War games so stale. Kratos isn’t just looking to kill gods and titans to steal their powers any more. In fact, the Norse gods themselves don’t make themselves known until the second half of the game. Kratos’ Greek heritage makes a huge impact on the story as well, as he is a unknown in the Norse world, and treated as such. As those in the game begin to learn of Kratos and his history, they soon realise the depth of what they are dealing with and begin to take measures to nip Kratos in the bud before he becomes too much of a problem for them. Kratos, in the meantime, is simply trying to get his wife’s ashes to the final resting place and is ever more so getting sick and tired of the interference of the gods. The whole narrative surrounds Kratos’ desire to fulfil his deceased wife’s wish as mentioned earlier, as well as the growth of his son Atreus. At first, the death of Kratos’ wife had forced the two to spend all their time together, and Kratos feels resentment for having to all of a sudden raise this child. 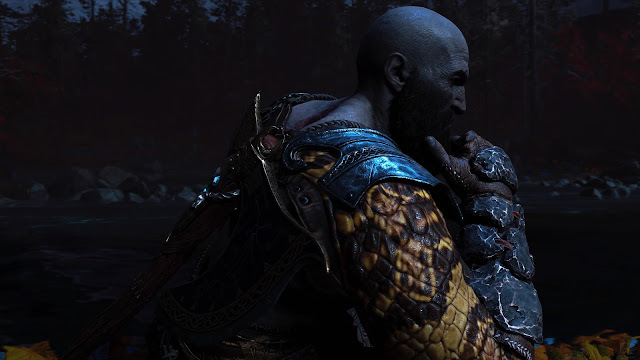 It almost seemed like he hadn’t learned from the death of his first family (by his own hands), but Kratos does show care for the child, and chooses to hide this fact from Atreus in order to teach him lessons of battle and survival. As a child, Atreus resents the way that Kratos treats him. I’ve seen this dynamic many times in family relationships as a teacher and it feels genuinely authentic, if only for the excellent performance of Christopher Judge of Stargate SG-1 fame. 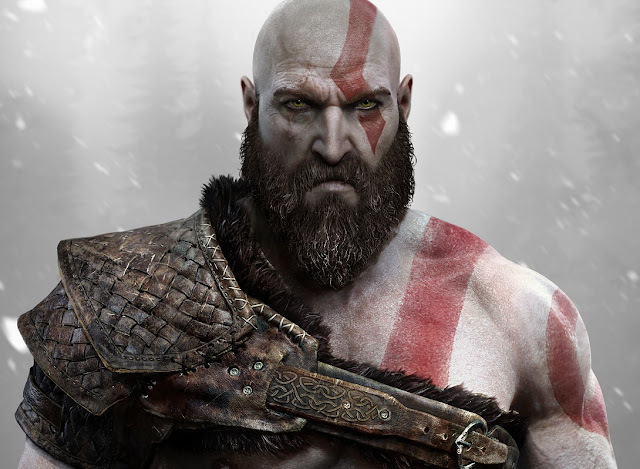 His gruff, no nonsense unapologetic voice serves the older, wiser Kratos well, and added a completely new dimension to the man that we haven’t seen before. 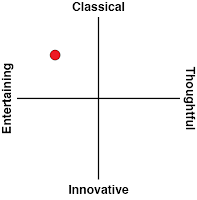 Norse Mythology is represented with care and respect. Even lesser-known gods and dwarves are mentioned, as well as aspects of their tales have been interwoven into the story. I won’t mention which gods have been represented, as they present a spoiler, but I will mention that I fully appreciated the use of arrows made from mistletoe. It’s a minor nod to Norse mythology in the game, but shows that the team was genuine about doing their research. The developers did such a great job that I felt compelled to do my own research and was often surprised by how accurate and respectful the game was in respect to Norse mythology. The enemies in God of War have all been taken from Old Norse as well. As a few examples, Kratos will come across Draugr, Dark Elves, Vargr and so on. Their entire purpose in the game is to stop Kratos from reaching his goal, there are a large number of enemy types in the game and each enemy requires a different strategy for Kratos and Atreus to overcome them. In battle, Kratos uses the Leviathan Axe given to him by his wife, as well as a large wooden shield. Atreus assists Kratos in battle and can be commanded to shoot arrows at the various enemies in the game. When working in tandem, battles are exhilarating and methodical, as opposed to be a simple button mashing affair like in the older games. Although Atreus assists Kratos in battle, the way the developers have handled Atreus’ ability to kill things works very well. 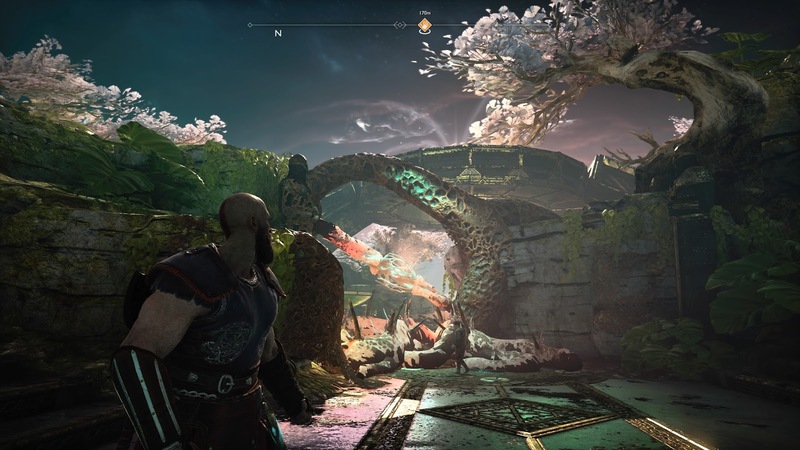 He is able to take down smaller enemies as they are presented at first, but the first initial bosses are fought without Atreus, with Kratos believing that his son isn’t ready to face the dangers of the world. As the game gradually moves along its plot, so does Atreus’ growth as a boy and as a person. Over time, he builds his confidence, willing to show Kratos that he has what it takes to defend himself as well as his father. An “origins story” is one that video games have always had trouble telling, but here, the game tells the tale of Atreus’ growth into a warrior much better than Lara’s ability to do the same in the first modern Tomb Raider game. 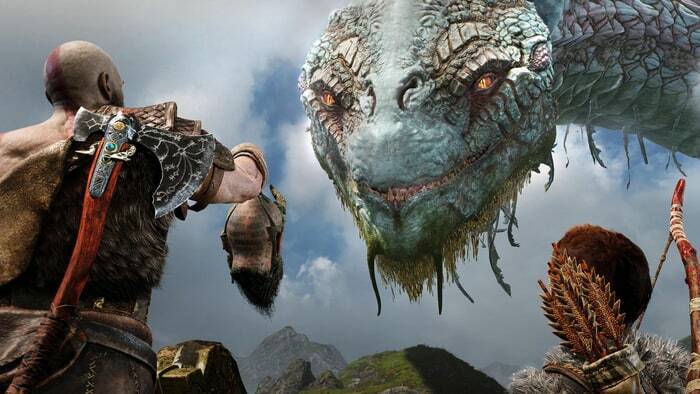 Side quests are also present in God of War, though they are few and far between. Atreus is the one who wants to help others and participate in side quests, while Kratos will simply only help others if there is reward in it for him that will assist him in his journey. The contrast in why the pair are participating in the side quests adds an extra layer to the dynamic and relationship between father and son. The menu is something that I had a tough time navigating at first. Both Kratos and Atreus have their own skill trees, armour and weapons that are available to both craft and upgrade. More often than not, I found myself not wanting to upgrade my armour, knowing that better armour would be on the way shortly. Runes can also be added to armour and weapons, and the runes themselves can also be upgraded. It becomes very overwhelming very fast, and I wish that some of the crafting and upgrading skills could have been simplified a bit. On a technical level, God of War has some of the highest quality visuals I’ve ever seen. The textures are sharp, and the draw distance is fantastic. The world feels huge and lively in the game. As expected though, it’s a blockbuster game which means that while the visuals are impressive, it mostly looks like a really great version of almost every other blockbuster out there. There’s no unique aesthetic to the game, and it’s yet another example of “realism” as an aesthetic that we’ve seen a million times before. The Norse had their own unique approach to art, and I would have liked to see this game implement that aesthetic across the lot of it, but then if you did that the mainstream audience might have been put off the game looking too “different.” Truly it’s a tough gig to be creative in the blockbuster space.